Had an excellent three days in San Antonio last week, one day at the North American Network Operators Group meeting, one at TechStars Cloud for mentor meetings, and one at the San Antonio Art Museum. 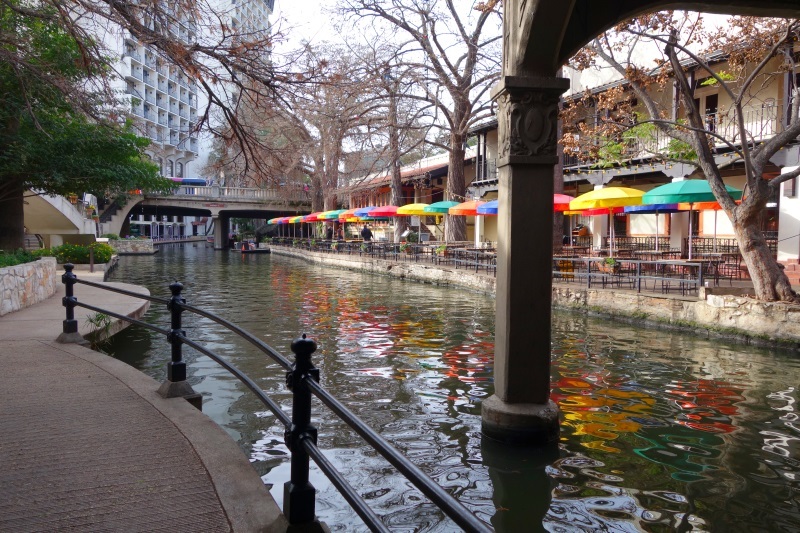 The Nanog venue was the Mariott River Centre, on the Riverwalk - the Riverwalk transforms what would otherwise be a somewhat dilapidated dusty city into something civilized where one can walk, without stopping for streets and traffic, past both history and commerce. From the agenda, the most interesting content was Geoff Huston's talk on Domain Name System resolvers, filtered by Autonomous System number. He's looking at what it is possible to learn about a large sample of Internet users by looking at their DNS queries and the response - particularly for response times, and for non-locality - DNS leakage across national boundaries. Google's public DNS service resolves for 10% of the Internet user population. Andre Toonk's talk on BGP hi-jacking, some of which is malicious, is worth review, as are the security track slides. XKL was a sponsor, as it has been many times, and it was good to talk to former colleagues there. Pica8 are newer - writing software for whitebox switches, located in Palo Alto. Updated to add - Geoff Huston wrote much more detailed notes on both days.